There are many different methods and techniques involved in addiction treatment, drawn from both conventional and alternative medicine and often combined for more effective results. Every patient in rehab has different needs and challenges to face which is why treatment programs are more successful when tailored individually. Withdrawal from prolonged alcohol or drug dependency can be an extremely uncomfortable and potentially dangerous experience in rehab programs. These are significant side effects for patients to endure and for that reason, conventional meds or alternative therapies are used in the detox process to mitigate discomfort caused by withdrawal. Medical detox is usually tapered off towards the end of the detox program to avoid replacing one dependency with another. Holistic therapies, on the other hand, can be used as part of treatment from detox through rehab and into recovery. As the word holistic implies, this alternative approach is designed to treat mind, body, and spirit to encourage addicts to adopt mindfulness practices such as yoga and meditation as coping mechanisms through the entire addiction treatment process. Holistic drug detox is an alternative treatment available to patients who don’t wish to go through medical detox, preferring not to take medications to assist with withdrawal. The holistic approach focuses on natural techniques that quiet and cleanse the mind, although in some cases conventional medicines will be included in holistic drug detox to ensure the absolute safety of the patient. In extreme cases where addiction has been present for several years, withdrawal can be particularly unpleasant as a result of the body’s heightened need to abuse substances. Careful medical monitoring is essential in such cases and holistic addiction therapies can be extremely useful to patients when medical detox has been completed. The benefit of natural detox is that valuable practices can be incorporated into daily life, assisting in long term recovery when inpatient treatment has finished. 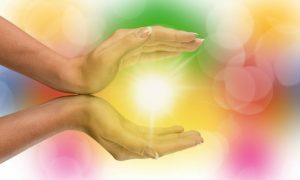 What Techniques are used in Holistic Detox? There are several different types of holistic therapy used in addiction detox and rehabilitation like acupuncture and massage, for example. The medical benefits of these practices are that they help to regenerate deteriorating muscles and also reduce symptoms of anxiety and depression commonly associated with drug or alcohol addiction. Following years’ of substance abuse, patients can suffer considerable muscle wastage as a result of their illness and in these cases, holistic techniques can serve to repair and regenerate muscle tissue for positive effect. Yoga and meditation are mindfulness practices that focus on breathing and posture to relax the body and achieve a natural state of serenity. Holistic addiction treatment educates patients on techniques they can take with them for use as coping mechanisms to manage sobriety when rehab has finished. Nutrition is also important in holistic medicine as it encompasses mind, body, and spirit and is highly effective when used to rid toxins from the body in the early stages of treatment. Holistic addiction treatment provides behavioral therapy that allows patients to deal with difficult emotions and states of mind on their own. Mindfulness techniques have been proven to be particularly beneficial for treating associated or underlying depression and anxiety in addicts. Yoga, in particular, has significant capabilities for repairing muscle and central nervous system damage in a completely natural way, which is particularly advantageous for patients with long term addiction issues. For addicts with post-acute withdrawal syndrome or PAWS, holistic addiction treatment can significantly ease the discomfort of detox when used in conjunction with conventional medication. Importantly, natural techniques provide another tier of relief for an addict or alcoholic going through detox, making this an increasingly popular approach to successful detox, rehabilitation, and recovery.